You Think You're Having a Rough Day? 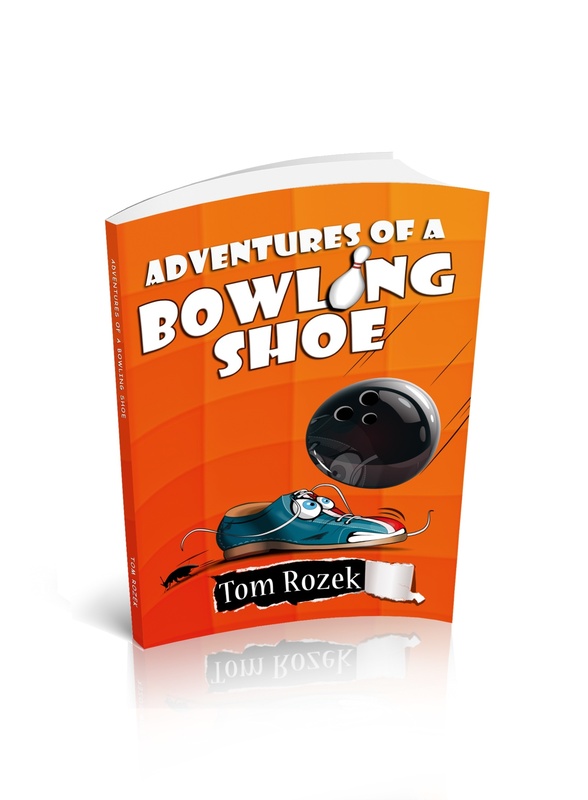 Try being a rental bowling shoe...in New Jersey! Meet Jim. He began life as the skin of a cow. Jim had no idea that one day, he&apos;d end up as a left-foot rental bowling shoe in Bayonne, New Jersey. Working at 12 Strikes Bowling World, he has to put up with long hours, sweaty-footed customers, splinters on the floor, the incompetent brothers who run the alley, and arrogant coworkers. But not everyone is rude to Jim. In fact, the many cockroaches that live in the alley are quite friendly, And then there&apos;s Sally, a piece of leather Jim met in his youth whom he dreams of finding one day. But to do that, he&apos;ll need to escape 12 Strikes Bowling World—a tall order for a short shoe. Tom wrote his first children's book when he was 9, after being inspired by an arthropod class at the Harvard Peabody Museum. His book was about the adventures of a lobster and a crayfish. In the years since then he has been a farmer and done a variety of other things. He's focused much of his writing energy on science fiction and essays, but he continues to be interested in stories with unusual characters and strange situations. He lives in southern Massachusetts. Jim's life is never boring. (Well OK sometimes it's not boring.) If you want to be notified when we publish something new about Jim or his buddies, leave your name below. We promise not to sell your name, spam it, sit on it, or otherwise abuse it. And you can take your name off this list instantly, any time you want. If you are below the age of 18, please do not provide us with any personal information. Like what you see? Well do ya? Then talk it up!